Police said Lucciano Cassini, 28, unemployed, of Cambridge Road, Hastings, is charged with possessing class A cocaine and class B cannabis with intent to supply, and possessing criminal property, namely a large quantity of cash. Federico del Gaudio, 30, unemployed, of Devonshire Road, Bexhill, is charged with possessing Class A cocaine and Class B cannabis with intent to supply, Sussex Police added. Both were arrested after their car was stopped by police in Holmesdale Gardens, Hastings, shortly before 2am on Thursday (November 22). 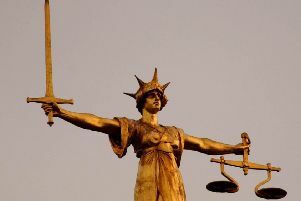 Police said both men have been remanded in custody to appear at Lewes Crown Court on Thursday, December 20.